Although dandruff can sometimes be caused by a fungal infection or other skin disease, in most cases it is produced when the scalp doesn't receive a sufficient supply of blood. Consequently there is a lack of protein in the skin, which becomes dry and flaky. Dandruff may also be due to a deficiency of vitamin B-6, or to an excess of vata dosha, which also makes the skin dry. The treatment is simple. To improve circulation to the scalp, massage for a few minutes?daily with neem oil (in a sesame oil base). lf a fungal infection of the skin is causing the dandruff, the neem oil, which has disinfectant properties, will help heal this also. Herbal Remedies for Dandruff- Though there are many natural remedies available for dandruff and various local applications, shampoos, oils and so on, but our combination works internally and gives strength to the body to fight the dandruff from within. Dandruff is actually a fungal growth or fungal infection. Using anti-fungal treatments or shampoos of selenium or fluconazole may help temporarily but the internal treatment has its own importance. The combination of herbal remedies mentioned here in this pack are purely natural herbs, no chemicals or drugs, no synthetic preservatives but just the pure herbs. The products like Neem are excellent for blood purification. The keep the pH of the blood maintained so that there are no infections in the skin. IN other words, Neem is the best blood purifier. It also clears away the free radicals and other toxins and acidic matter from the blood. Therefore good for black spots on the skin, blemishes, acne on face of body, boils all over body, pimples, lack of glow in skin. Other products in this package are Amla saar and Chawyanprash. Bramhi Chawyanprash is a rare herbal jam made from atleast 48 rare herbs with the base of Amla fruit pulp. Amla fruit is world's richest source of natural vitamin C. Vitamin C is known as best natural anti-oxidant and prevents all the diseases and fights ongoing diseases. 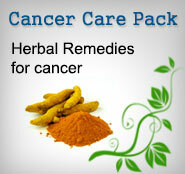 The combination mentioned here is best combination of various herbal remedies for dandruff. Amla Juice is full of vitamin C and other natural micronutrients. The combination works best for dandruff and also a good anti-aging, blood purifying combination. Amla Saar : 15 ml twice daily, with plain water, after meals. Brahmi Chawyanprash: 2- 3 teaspoons twice daily, anytime preferably with milk. The easiest way to get rid of dandruff is hot oil massage. Mix oils like sesame oil, olive oil and coconut oil and heat it indirectly (like take it in a bowl and keep it in a vessel of boiling water). When it is warm, massage the scalp for a few minutes and leave it on for half hour and then wash your hair with Shikakhai or mild shampoo. Even a paste of onion is found to be useful in cases of dandruff. Apply the paste of it over the hair and not over the scalp. If you are sensitive to it, mix it with curd and apply. 'Dhoor doora patra' oil (herbal oil) is an excellent remedy for dandruff. Mere applying of it or applying before a hair wash is useful. Stress is found to be one of the major causes to trigger dandruff. Avoid stress. Keep your hair clean and use separate combs for your hair. Wear scarf while traveling. Neem Powder 10 Grams , Curd 10 Grams, Tankan Bhasma 5 grams- Apply locally, wash hair with Shikakai or Reetha Shampoo. Consume Neem Capsules 2 capsules twice daily, for a month. 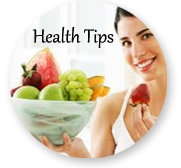 Use Triphala Capsules to cleanse the system and to provide nutrition to the hair. Use Amla Saar Juice to provide good strength and nutrition to the scalp and prevent free radical damage. 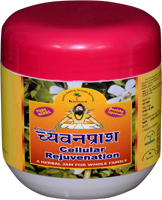 Use Brahmi Chawyanprash as an anti-ageing herbal remedy to prevent hair loss, dryness of hair and formation of dandruff.